I moved to Portland from Las Vegas this last June and the shooting that took place on October 1st really hit close to home for me. I had many friends who were there when it happened and my husband’s cousin suffered a gunshot wound to the hand. She was a lucky one. I have been sharing resources non-stop with everyone to help them through the PTSD that is sure to follow. 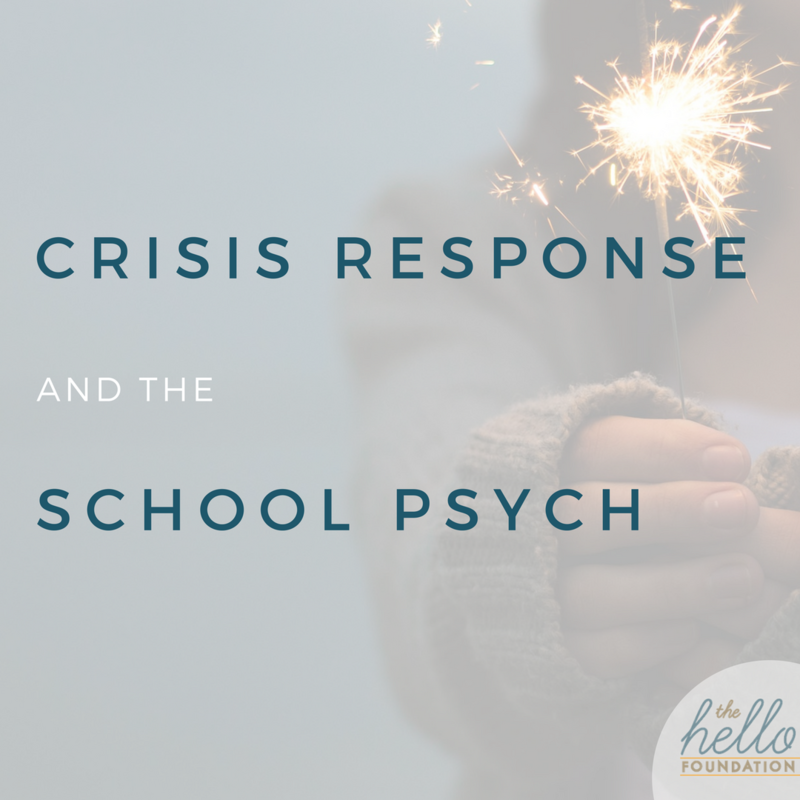 I worked for Clark County School District Psychological Services for 10 years and during that time, one of my passions was focused on crisis response. Many of my old coworkers were brought into the response triage operation at the MGM to provide emergency mental health services however they could. CCSD is one of the few districts that have a full-time team of strictly crisis response psychologists and counselors. Much of their work is focused on following up on potential threats and helping to prevent a school shooting. This team was, of course, activated because of the specialized training they have for crisis response. There was such a need, however, that they pulled school psychologists from all over the district to help out as well. Working in schools, we are all short staffed, bombarded with paperwork and endless special education referrals, and it can be easy to lose sight of the importance of providing the preventative care and addressing urgent matters of mental health during crisis response. Seeing how the community reached out and aligned services with existing providers, including those at the school level, was inspiring. It was also a good reminder that we, as school psychologists, are capable of providing so much more than what we are actually being tapped to do on a daily basis. In the future, I would love to see more training provided on crisis response and be sure that all emergency services, mental health providers, and school employees are working together to provide a swift and effective response to whatever may come our way (Safe Havens has a great website for this). Sadly, the only thing that is safe to say these days is that none of us are exempt from this nationwide dilemma.